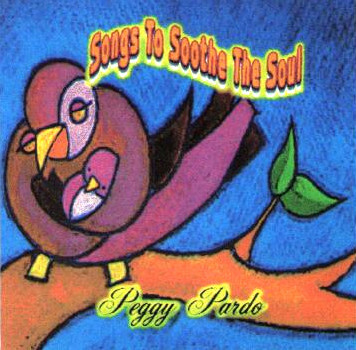 Peggy (Jacobson) Pardo, born in Montreal Canada taught herself guitar at the age of 16 and has been singing all her life. She comes from a long line of musicians and entertainers on both sides of her family. Her mother, Hilda Simon was a great lover of music and made sure that music played a large part of their home life. Whenever someone would make any remark Hilda always had a song that related to it. She made sure that Peggy had piano lessons starting at the age of five and she can remember sitting in the front room on Esplanade looking out the window at the beautiful summer weather calling her to come out while she had to practice piano. Her mother would be cooking chicken soup in the kitchen listening for any mistakes and pushing her to be better. Hilda subscribed to a record club which sent them a book and accompanying music once a month. Peggy and her sister Shelli (who sang at Expo 67) would lie on the floor listening and memorizing every word to each song. Today people are amazed at how many words of songs Peggy can remember. Her delight is in personal contact with each resident and has developed the ability to remember each of their names. 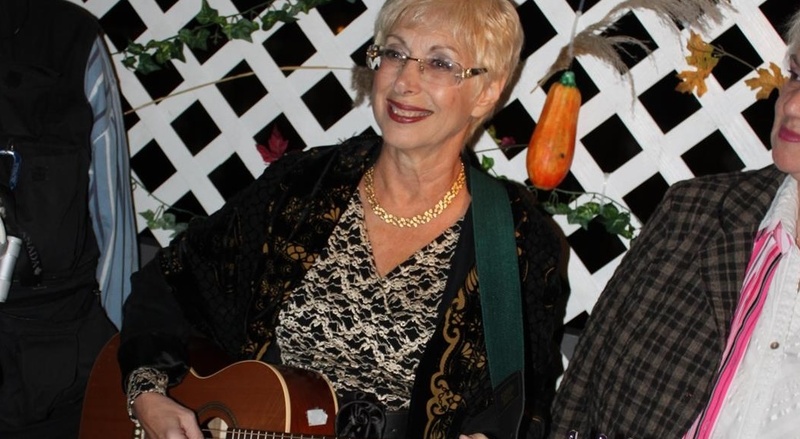 Having studied the Torah for 30 years, Peggy now teaches Torah for Life at a variety of the residences where she also sings. To her the Torah is a book of principles to live by and nothing to do with religion. She brings this wealth of wisdom to her classes and to her concerts. Her stories are exciting for all ages from youth to the elderly. Call her at 514-924-6432 or email (ppardo@videotron.ca) today to book her for your group. She has a wide variety of music and will choose a program to suit your needs. I just learned that the story in the book of Esther is more of a midrash than actual history. I love the fact that everyday, there is something to learn. Whatever the reality is, the story of Esther is about a woman who was humble, obedient and courageous and who was used by the Almighty to save her people, the Jews. She listened to her uncle Mordecai which shows that she had respect for her elders and was willing to follow their instruction. Her beauty, inside and out, won her the position of being queen in the highest court of the land. She was not pushy because she hesitated when asked to go to the king to plead for her people but when push came to shove, she was willing to go the extra mile to do what is right. My hope is that all those wonderful women I know will learn from these qualities and always stand up for what is true and just in a world that is rapidly losing its moral compass. I want to wish all my friends a happy Purim. May we remember that it is not about getting so drunk that we forget the name of Haman but that it is a time to stand up for what is right. Let us always remember that the Boreh Olam, the Creator is always behind the scenes watching over his people. Purim Sameach! Imagine writing a blog at the age of 70! I can remember getting our first tv when we lived on Esplanade. I was 6. Where did the time go? Well we have just finished these Holidays of Hanukkah, through Christmas and New Years 2018. We live in a world where the latter two reign yet like Joseph who always kept his identity, I want to do the same. I didn’t always. Growing up I never really knew my identity. You see my parents were rarely home to help form what we kids need to grow up feeling safe. Some people never feel safe because either the world they live in is far too dangerous or others like my generation who grew up after the war, with one eye looking back at the pain and the other eye looking forward to the hopes of what could be. A friend of mine, Miriam says it’s because we weren’t licked enough. They found that out through puppy research. So many people were excited about the blood moons and that each of the Holidays had a lunar eclipse. I am certainly a person who is always looking for signs and to me this phenomenon was a display from haShamayim, the heavens for us to marvel at. As I watched the moon slowly disappearing behind a dark shadow, I wondered what our Creator was trying to tell us. 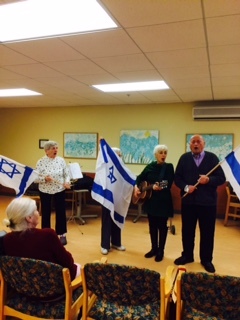 Then I thought of our Sukkoth celebration that same afternoon. We gathered branches, decorated the Sukkah, sang, rejoiced, waved the lulav and the etrog and feasted. What a magnificent day! 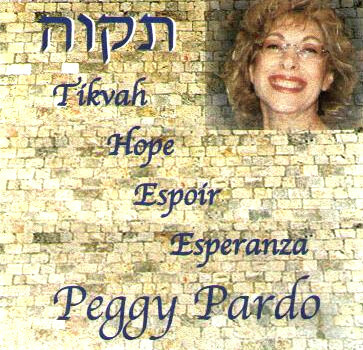 Tikvah Peggy's first CD, Tikvah, is now available. Peggy Pardo © 2014. All Rights Reserved.